Kid’s consignment sales are for more than just finding great deals on kid’s clothes! Here are the best things to buy at Spring consignment sales to save big! Our local Just Between Friends Lower Bucks kid’s consignment sale is happening in a couple of weeks (April 12-14, 2019), and I’ve been busy going through my kid’s clothing and figure out what they need for this spring and summer. And I’ve also been trying to think about other items that they’ll be needing that I should look for while I’m at the sale too. I don’t know about you, but as a mom of four, finding ways to save money on kid’s clothing and gear has been absolutely necessary in order for us to stay within our budget! There is simply no way that we could buy everything brand new. And I’ve been so grateful for consignment sales and their budget friendly prices on kid’s clothing, toys and gear. 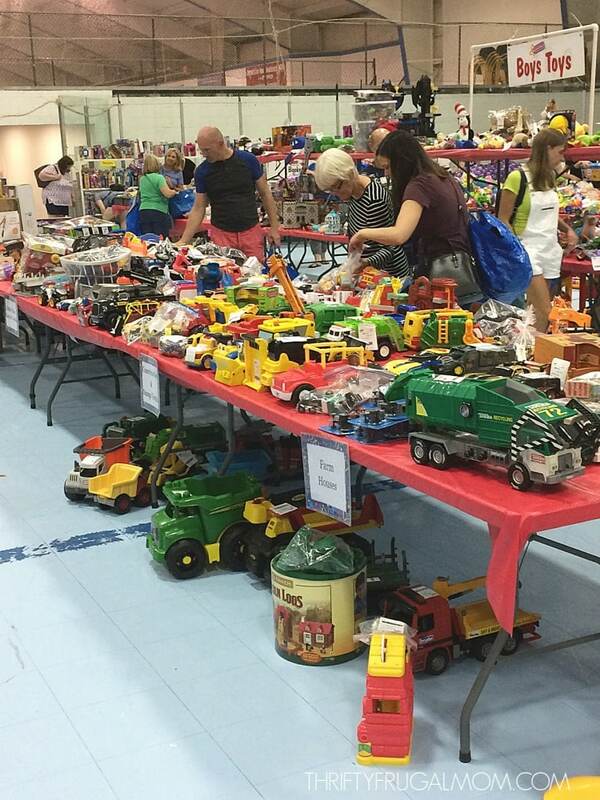 To be honest, for years I felt absolutely overwhelmed by kid’s consignment sales and totally avoided shopping them. But then several years ago, I figured out a few simple things that totally changed my perspective and made shopping at consignment sales something that I actually have learned to kind of enjoy! It’s always such a good feeling to be able to spend one chunk of time shopping and then come home with most of the clothing and gear that my kid’s need for the next season. All for a fraction of what I would pay otherwise! Since I have consignment sale shopping on my mind, I thought it would be fun to share what I think are the best things to buy at Spring consignment sales. With a little planning, you’ll be able to save a lot of money on the gear and clothing that your family needs! Plan ahead and save money by buying your kid’s Easter outfits at the consignment sale. I usually see lots of cute options! I also have found a lot of hoodies and sweatshirts too. Look for sandals, rain boots, flip flops, cleats and more! I’ve been able to find footwear for amazing prices. You can often find pool floats, life vests, rash guards, cover-ups, swim goggles and more! American Girl Doll accessories, Duplos, toy musical instruments, tool sets, Nerf guns and so much more. I’m always amazed at all the options! This is also a great time to buy ahead for birthday and Christmas gifts! Watch for craft kits, art supplies, model kits and more. I love keeping some art and craft kits on hand for rainy day activities. Board books, picture books, kid’s classics, pre-teen reads, Usborne books and everything in between. There is always a big variety of both games and puzzles, for both little and big kids. I’ve even seen brand new games and puzzles for sale! You’ll find bike helmets, knee pads, roller blades, baseball gear, balls and plenty of other sports items. If you have a kid that is going to a sports camp this summer, this is a great way to save money! Watch for playhouses, sliding boards, water tables, bikes, wagons as well as many other options. 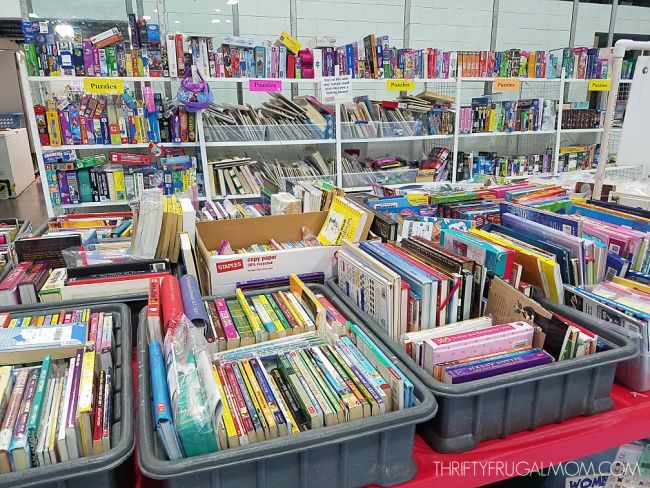 The Just Between Friends Lower Bucks Consignment Sale is happening April 12-14, 2019 at the Sportsplex at Warminster (654 York Rd, Warminster, PA 18974). Please note: This is a new location in a beautiful, well lit space with lots of free parking!! Presale info: Tickets are required to shop the presale on Thursday, April 11. There are 3 options – first-time parent/grandparent, teachers, and Prime Time ($10 fee for Prime Time, others are free but do require registration in advance).